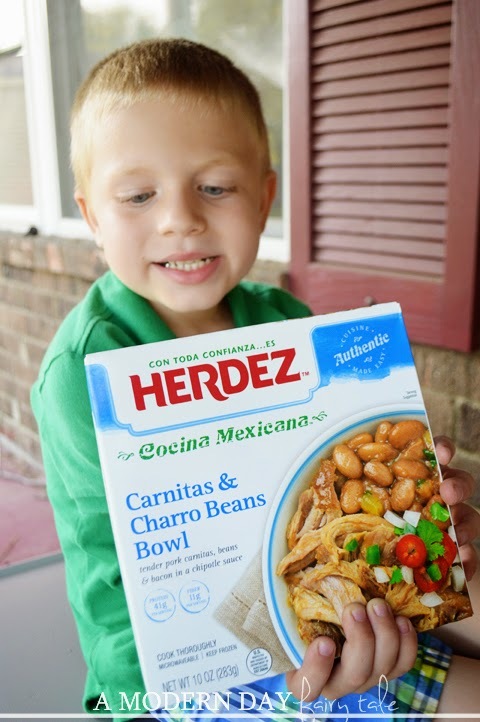 Many thanks to the makers of the HERDEZ® Brand for sponsoring today’s story and encouraging me to try the Cocina Mexicana Frozen Bowls! When my son takes an interest in a movie, he really goes all out. He remembers every line, he recreates scenes, and he even tries to eat the foods they eat. His most recent movie love? The Lego Movie. Which can only mean one thing...Taco Tuesday!!!!! Each and evdery Tuesday, he reminds me that we MUST have Mexican food for dinner that night. Every. Week. Now I love Mexican food as much as the next guy, there's just one little problem...Tuesday also happens to be his soccer practice. As much I want to be able to allow my son to celebrate his favorite movie, we need meals that are quick and easy...something we can grab before or after practice with little to no prep work involved. Thankfully for me, Herdez offers the perfect solution with their Mexicana Frozen Bowls. These authentic ready-to-eat meals give us that delicious Mexican taste we love in just a matter of seconds! If you're familiar with the Herdez brand already, you'll discover these offer the same great quality and freshness you already know and love...in a quick and easy package. As much as I would love to create amazing homemade tacos for my family, sometimes that's just not an option...so for our busy Tuesday nights, these offer the perfect solution. Now, I know what you might be thinking, they're not really tacos, right? True, but they're so delicious my son doesn't even care! He'll eat them straight out of the bowl! But to keep with the theme of Taco Tuesday, why not make them tacos? Simply toss the contents into a taco shell, add your typical taco toppings and you're all set! Taco Tuesday, quick and easy! The other great thing about these wonderful bowls? Your family members can each choose their favorite varieties! I don't know about your household, but in mine we all have extremely different tastes. I'm a vegetarian, my husband prefers beef and my son typically goes for pork or chicken. With 10 varieties to choose from like Beef Barbacoa, Carnitas with Charro Beans, or Pork Chile Verde, everyone can pick the variety that best fits their tastes...without this mama having to cook multiple fixins. AND to make it even better, how about some savings? Go here to print a coupon to receive $1 off the purchase of any HERDEZ® Cocina Mexicana Frozen Bowl!! Simple, quick AND inexpensive...it truly does make for the perfect Taco Tuesday. What are you waiting for, SAVE NOW!! Do you love Taco Tuesday? 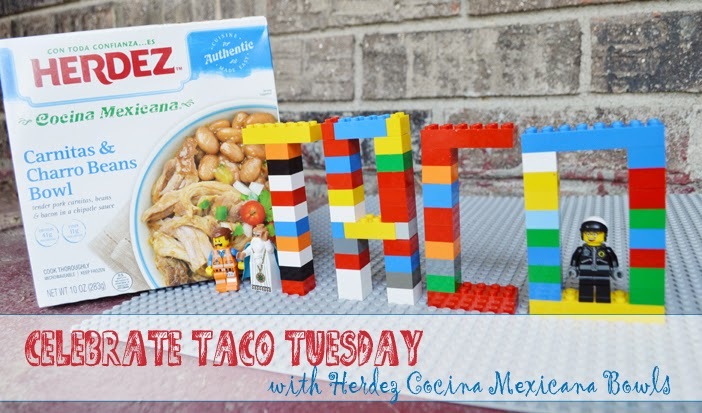 How can Herdez Mexicana Frozen Bowls make YOUR Taco Tuesdays a little brighter? Which great flavor is your favorite? These look super good. Will have to try, thanks for the coupon! That looks delicious! I've never noticed this at the grocery store before so I'll have to look next time!